Holiday shopping time is upon us and I can feel the pressure coming, can you? In this article on GOBankingRates, I shared one of my favorite tips for making smart purchases during holiday flash sales, and I wanted to take some time to expand on it a little bit more. In the article, I discussed the importance of making informed purchases during sales like Black Friday and Cyber Monday. I feel that it’s vital to take the time to do some research on the items you want to purchase, before stepping foot in the door of the store or clicking on that buy button. Taking time to make sure that you’re truly getting a good deal can make help you not spend money unnecessarily but you’re still able to get what you want. Holiday spending can be lots of fun! It’s a time full of creativity because of so much gift making, baking and cooking occur between now and the end of the year, which involves purchasing new tools and supplies to make projects come to life. If you know that you have many things that you want to buy during this time, consider making yourself a holiday fund or savings account. Some banks and credit unions have them as a certificate of deposit where you can put some money aside and shop guilt-free once the holidays roll around. Be true to yourself and your financial situation. If you honestly can’t afford to buy everyone pricey gifts this year (or any year for that matter), then don’t stretch yourself and disregard your personal goals to do so. Here is an awesome blog post with LOTS of frugal, but loving & creative gift ideas. If anyone throws shade at you because of the gifts you give, just tell them to sit down. Plan a fun family outing or gathering instead. This year, my family is planning a mini vacation for early 2017 that we have been saving up for all year. So we’ll be very light on the presents and super heavy on the fun. I’m excited about snowy adventures! Some people plan a family dinner or potluck. Keep yourself busy to avoid the temptation to hang out at the store. This could be working extra hours, doing some community service, spending time with loved ones, start reading more or beginning your new year’s resolution workout plan. If you’re feeling down about not having the funds you would like to have, consider doing a daily gratitude practice to shift your energy. It can really make a difference! I started doing a short daily gratitude practice in the morning earlier this year and it made all the difference. 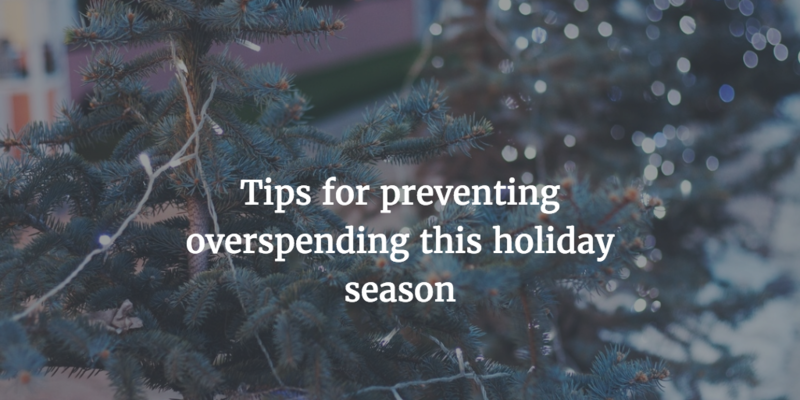 As always, comment below or tweet me to let me know what you’re going to do this holiday season to stick to your plan and not overspend. I’d love to hear about it!